Thanks to everyone for attending the Cypher webinar, I was thrilled about the attendance and the great discussions in the chat. As promised we publish this follow-up post to address questions that were not answered and provide a convenient place to check out the resources mentioned in the webinar. 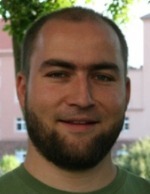 Oleg Okun: How easily can one migrate from a graph database to a non-graph NoSQL database? Export your data using any of the API’s (Java, REST, Cypher) and import it on the other side. Alexandre Meynaud: Should we be concerned about performance when defining cypher patterns? Oleg Okun: Can you point to Cypher implementation of some machine learning/data mining algorithms? I don’t know of any, might be an interesting topic to contribute to. There are some data modeling examples in the Neo4j Manual. Martin: Will future versions of Cypher be backwards compatible? Older Cypher parser versions are supported for up to two major Neo4j versions, oder parsers might be activated by prepending a CYPHER 1.7 like prefix to your query. Alexandre Meynaud: Do you foresee a “standard” graph query language in the coming years (or decades)? Not really, for us we focus on allowing our community users and customers to solve their problems. We’ve had discussions with other vendors about it, but it seems premature to agree on a standard while we are all so busy and focused on product development. Ajinkya: Can you discuss the reasons that went into the decision to implement cypher using Scala ? This is a longer discussion, which I covered in a talk given at Geekout Tallinn, see the resources section below. 0830 – Cypher and Neo4j from Neo Technology on Vimeo. The chat during the webinars was great, thanks a lot to Andreas Kollegger for answering all the questions. ASHISH M: wow! looks like we have an internnational crowd on today!! Anyone from Australia? Wes: Thanks a lot guys. Andreas Kollegger: thanks everyone, thanks Michael! Mylène: Thanks. this was absolutely cool! This topic is so broad, we will address it in a separate blog, for now here is the link to the gist.